Jordan received his Personal Trainer diploma from RCTC, and his Bachelor from Winona State University in Health Exercise Rehabilitative Science. 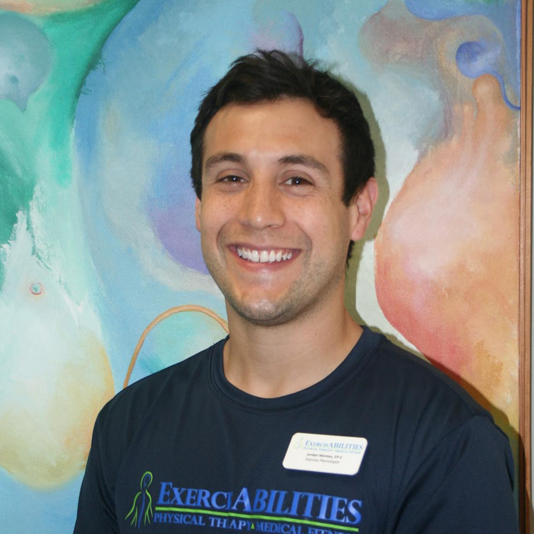 Jordan has experience working at ExercisABILITIES since 2014, with a focus on neurologic activity based training. Jordan received training in 2015 from the NRN, neuro-recovery network on activity based exercise and rehabilitation interventions with a focus on working with those with spinal cord and brain injury. Inaddition, he enjoys working with our diabetes prevention program as a lead trainer. Jordan enjoys working with each client to develop a plan to get stronger, move better and meet their physical and fitness goals. Interest outside of work includes sports, biking, being outdoors, and spending time with family and friends. Jordan’s passion is health and fitness, and along with that goal is to help others achieve their goal in improving their health and lifestyle.